The terms “Siberian hamster” and “Siberian dwarf hamster” are just another name for the either of the two Russian dwarf hamsters, the Campbell’s dwarf hamster or the Winter White dwarf hamster. Both of these dwarf hamsters can be found in parts of Siberia and that is why they are sometimes referred to as Siberian hamster. All the information in this blog is suitable for Siberian hamsters as they are also dwarf hamsters. Although they look very similar, the Winter White and Campbell’s dwarf hamsters are actually different hamster species. Despite being different species, they can interbreed and create hybrid offspring. However, this does not happen in the wild though because the two species of hamsters would normally ignore each other or fight. Kind of similar, aren’t they? Most people are not able to tell them apart and this is a reason why hybrids are often created — because uninformed pet owners and pet shops breed them without knowing that they are different! If you have a Siberian hamster that has different colors, you might want to refer to this table to see which type your Siberian hamster is likely to be. Creating hybrids of these two Siberian hamsters can cause many problems. 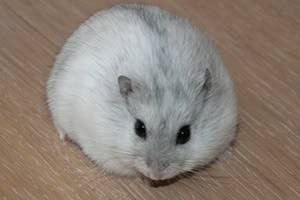 For one, the Campbell’s dwarf hamster is larger than the Winter White so if they are bred and the female hamster is a Winter White, the hamster babies would be too big for her to give birth to and the female hamster would die. Another reason is that hybrids are more prone to diseases and genetic problems. They also tend to die earlier than the purebred dwarf hamsters. Sadly, even with these problems, some people crossbreed the two Siberian hamsters because the hybrids can have attractive colors. If you care about your dwarf hamsters, don’t buy hybrids and never breed Siberian hamsters when you are not sure which species they are. Second pic looks like nearly every Djungarian I’ve seen, I’d be more hesitant on the first. Djungarian’s generally have furrier feet bottoms.